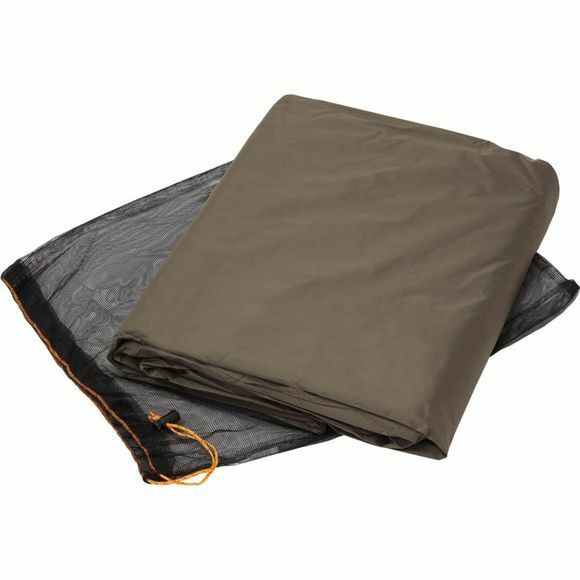 The Floor Protector Low Chapel L XT 2P from Vaude is a robust tent footprint for an extra layer of protection from wet ground, thorns, pointy rocks and other annoyances. The footprint is sized to fit the flysheet. This helps to protect the vestibules more effectively from moisture and makes them more comfortable to use. The ground cloth is made from durable 75D polyester with a PU coating (water column 5000 mm).